In this activity you will explore two different shapes and decide if they are squares or not. 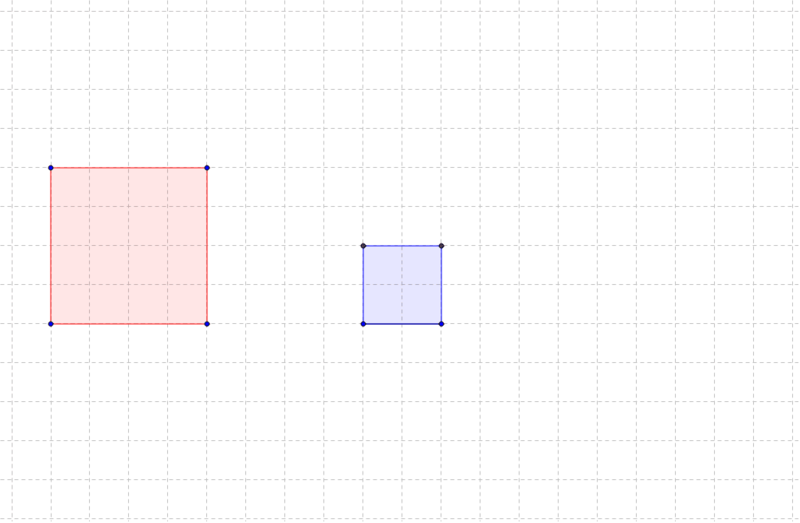 Use your previous knowledge about what squares are and what they can look like regardless of their size or placement on the screen. 1. What do the two shapes on the screen appear to be? 2. Move around the two shapes to see if they remain the same as before. Do this by clicking on a corner point and dragging it all around. 3. Which shape is the true square? Red or blue? This activity addresses the standard: CCSS.MATH.CONTENT.K.G.A.2 Correctly name shapes regardless of their orientations or overall size.